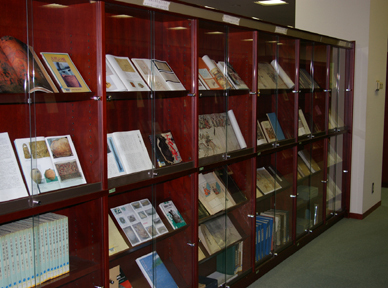 The Local and Special Materials Room located on the 2F, has the following collection of reference material on Fukuoka. Local material on Fukuoka including its history, geography and biographies of individuals with ties to Fukuoka.. 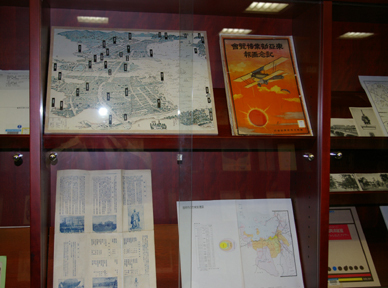 Donated material by prominent individuals in the field of research on Fukuoka. Magazines and coterie magazines relating to research on Fukuoka. Works of authors with ties to Fukuoka or who set their story in Fukuoka, and recipients of the "City of Fukuoka Cultural Awards"
Recipients of the "Fukuoka Asian Cultural Prizes", which was created after the Centennial Commemoration of the Establishment of the City of Fukuoka.